A design to create a new purpose for unused basement space, to meet the changing needs of the department, and to allow for future development. 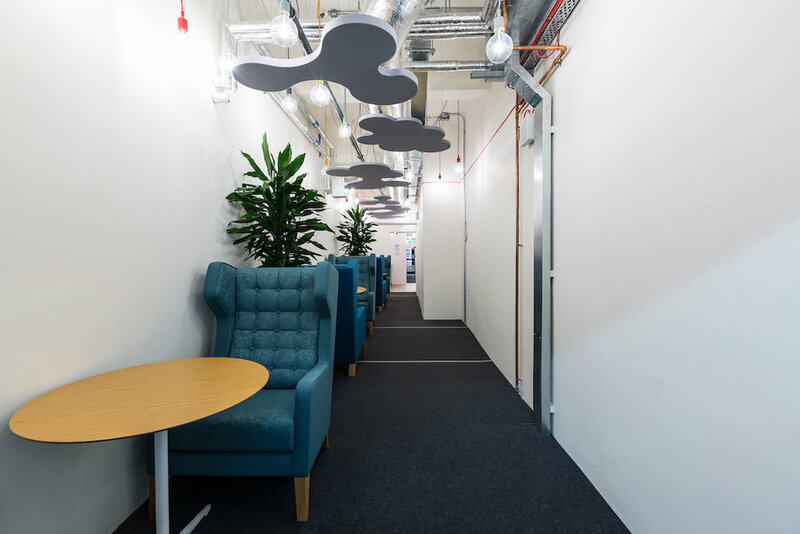 As part of works to maintain and improve the Government Offices on Great George Street (GOGGS), Her Majesty’s Treasury commissioned a new project with the intention of repurposing an existing, unused space within the basement, previously used for archiving. 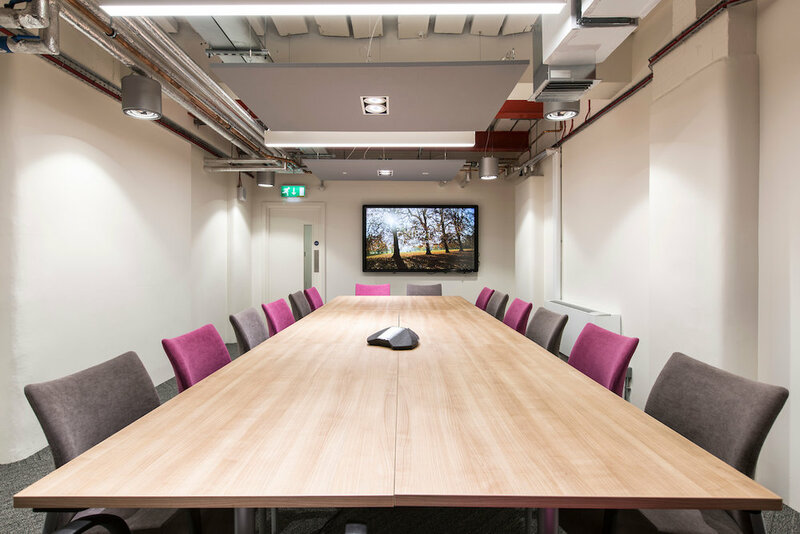 Due to the sensitivity and heritage of the location – a number of the existing rooms were originally used by Churchill as war rooms during the Second World War – the design required a sympathetic and sensitive mix of materials and finishes. Working with heritage consultants Feilden+Mawson, Burtt-Jones & Brewer developed a final design solution that would blend old and new, working in harmony with this complex, historic site. Designing each room to have a unique individual character, yet combined through a single concept. 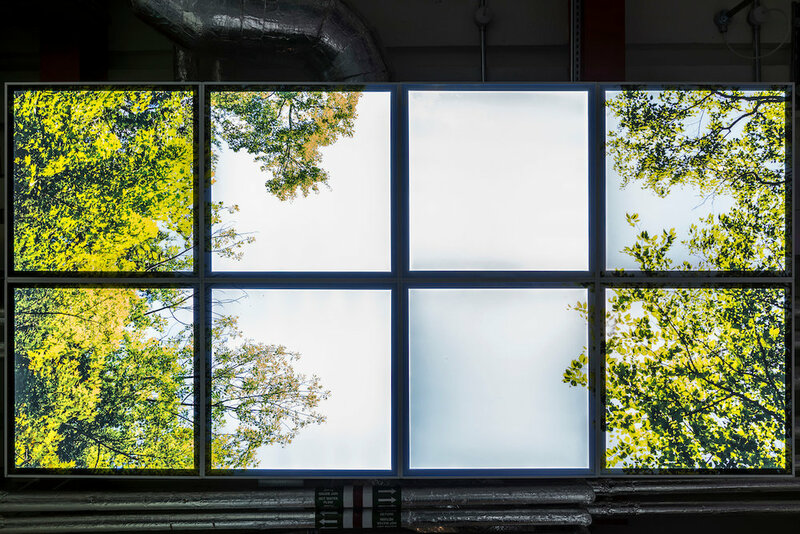 The overarching concept of bringing the ‘outside in’ was designed to entice users into the space despite its location – a windowless environment two floors below ground. Details such as warm materials for walls and flooring were introduced to make meeting and workshop spaces more welcoming. 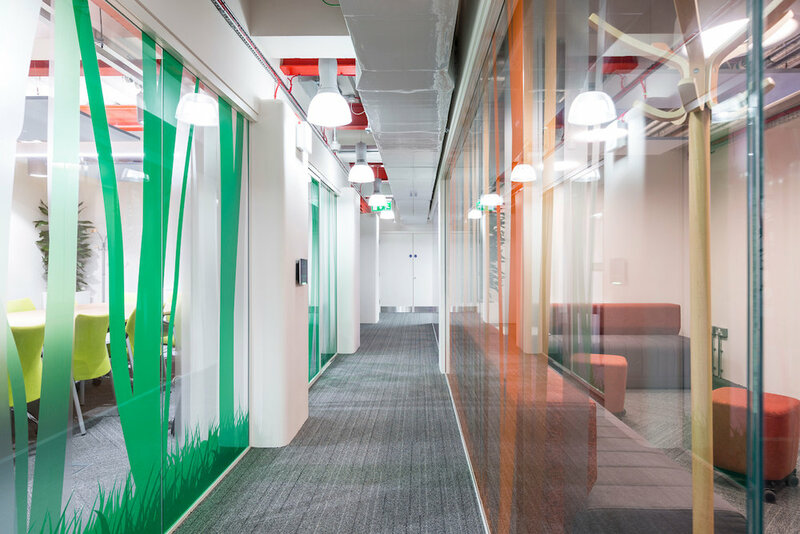 Bright colours were chosen to keep meeting room interiors energetic and playful. 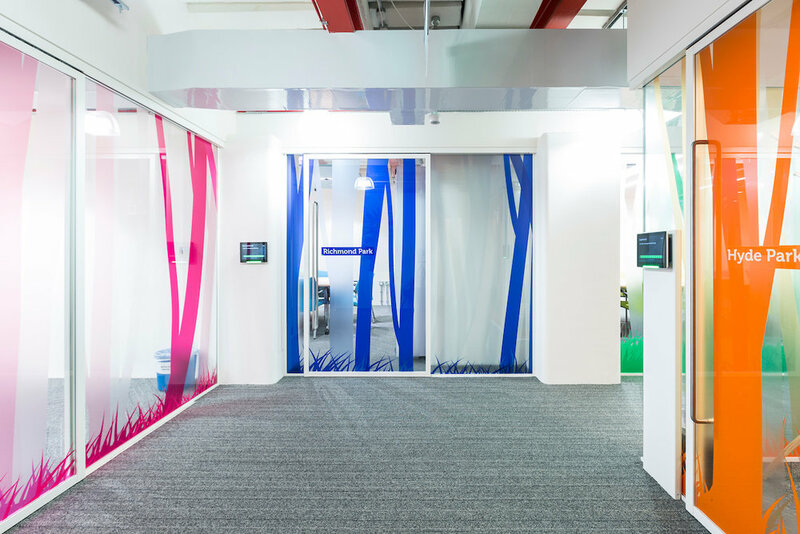 For privacy, manifestation and vinyl prints were applied to internal glazed partitions. 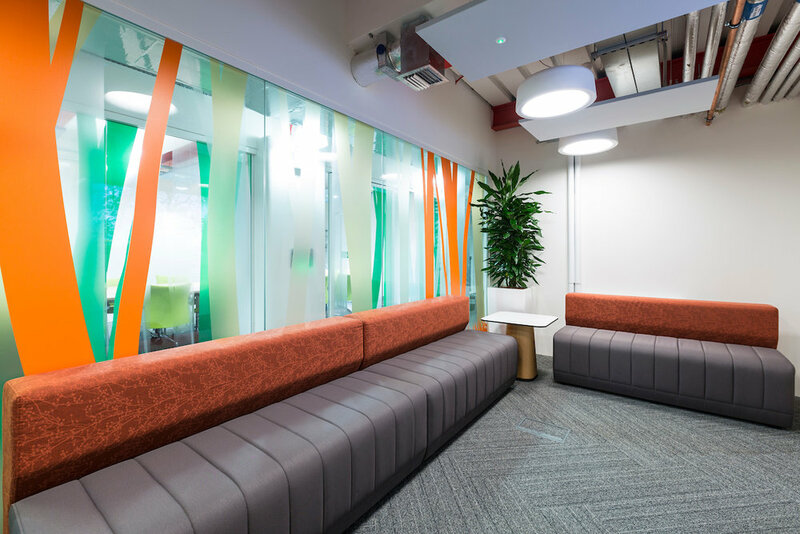 To improve acoustics, slab to slab partitions were installed with floating acoustically absorbent rafts, to dampen noise within the breakout area. The result: it is now one of the most used meeting areas within Her Majesty’s Treasury. West London, West Norfolk and Wales.